We all know about the importance of brushing. But have you ever wondered about other ways to keep your mouth healthy? Maintaining your oral hygiene is key to having a beautiful smile and avoiding painful (and expensive) problems with your teeth. Flossing is the most common habit, aside from brushing, that most of us use to maintain oral hygiene, but not all types of floss are created equal. Finding a floss that’s lightly waxed but not too waxy is important, as an unwaxed floss won’t slide easily enough, while over-waxed floss won’t effectively remove plaque. Eco-Dent Gentle Floss and Oral B Complete Deep Clean Ultra Floss are great options. 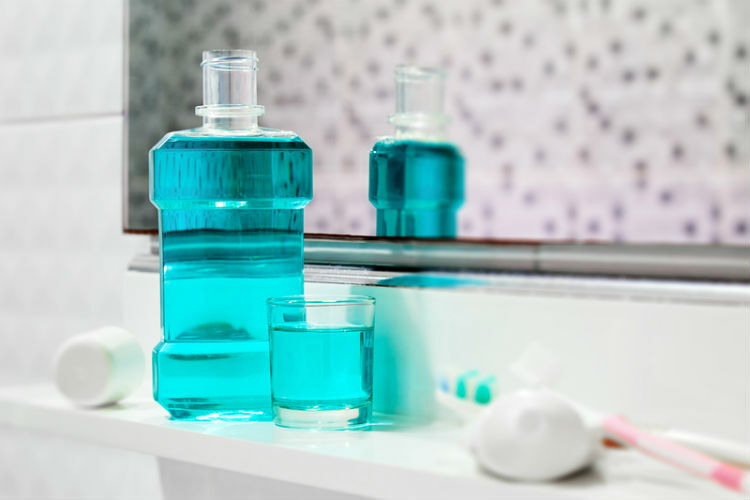 Many types of mouthwash are used to prevent bad breath, but fluoride rinses are the most legitimate mouthwashes for promoting healthy teeth and gums. If you are prone to gum problems, cavities, or plaque build-up, regularly using mouthwash is an absolute must. Remember that mouthwash is not a substitute for brushing or flossing, and fluoride rinses only work effectively when used directly after your brushing routine. Most of us take prescription drugs at some point in our lives, and many common medications cause xerostomia, or dry mouth. A lack of saliva flow can irritate your gums and cause them to swell, which raises your chances of infection. Some prescriptions that commonly cause dry mouth include blood pressure medications, antidepressants, and pain medications, so speak with your doctor if you’re taking any of these drugs. A broken or completely knocked out tooth is a dental emergency that you’ll want to avoid! Wear a mouthguard if you play contact sports, and never attempt to pry open a bottle or container with your mouth. A tooth weakened by decay is more likely to break, so make sure you’re scheduling regular dentist appointments to check for any cavities. If you do lose a tooth, dental implants are the best and strongest way to support artificial teeth. According to Dental Doctors, dental implants are even stronger than natural teeth and can last for several years. These simple habits to maintain oral health are well worth the small investment of time and money. With these steps, you should be able to keep your smile sparkling for years to come. Looking for more health tips? Check out CureHack’s latest posts on health and fitness.